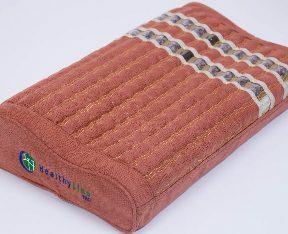 Non-Powered Soft Memory Foam Amethyst Pillow from Healthy Line is ideal for head and neck support. Comfortable to sleep on or use with any therapy. Non-powered and non-heated for maximum user safety, the amethyst pillow from Healthy Line is made with some of the highest-quality amethyst found in Brasil. Stones fill this pillow in lines from edge to edge. Every 6-th line filled with Tourmaline and Obsitdian.